Hiring a blogger is an excellent way to outsource some of your tasks. It’s not cheating. You’re just getting the right person for the tasks at hand. After all, the CEO of Google doesn’t run everything, does he? But before you just hire any blogger out there, you need to take some steps to make sure you have the right one. It’s essential that you get the perfect person for the job; someone who knows your niche and can reach out to your target audience. While budget will come into it, it shouldn’t be your sole focus when initially finding a blogger for you. 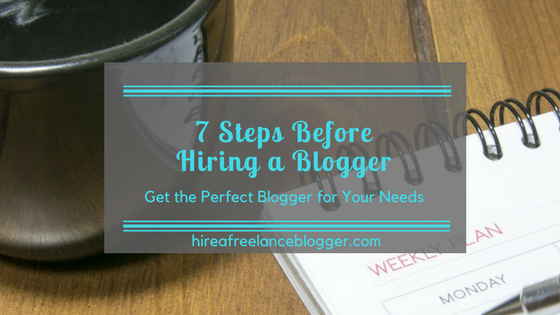 Here’s a look at the seven steps you need to take before hiring a blogger. Look for referrals. There are high chances that you know someone who has hired a blogger before. They may have even hired multiple bloggers or copywriters. These are the people you want to chat to first. Find out what they love or hate about their current freelance blogger. Do they recommend the person? Would they recommend finding someone else? 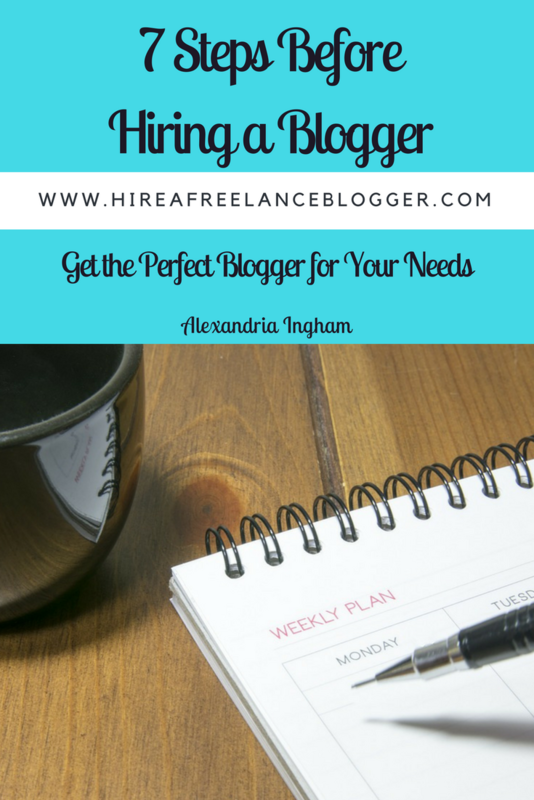 Good and bad feedback is perfect when initially looking for bloggers for hire. With the list of recommendations, you narrow down the place to start. You can do direct to their websites and social media pages to find out what they offer. Let the blogger you’re considering know that someone recommended them. This helps bloggers know how you’re finding them and what their current or past clients say about them. It’s common to go straight to the packages or hire me page and look for the price list. Chances are you’re not going to find a distinct price list when hiring a blogger. Setting a one-size-fits-all price list is often impossible. However, you may find some package offers. Plus the packages don’t really tell you about the blogger. You’ll want to find out about their experience within your niche, their experience in writing in general, their style, and their samples. Look at their About page, their blog, and any links they share. Most bloggers will already showcase their samples. Take the time to look for them. Show them that you are interested in working with them. Of course, if you can’t find samples, don’t be afraid to ask for some. You want to make sure the quality is what you need. Get in touch with the blogger to find out more about them. This is the chance to get more details about their experience and how they can help you. Don’t just email something like “I’m looking for a blogger. What can you do for me?” That tells the blogger nothing about who you are and what you do. Would you expect to be able to answer that question if someone asked it of your business? Let the blogger know a rough idea of what you’re looking for. What do you want to achieve from the content? Where’s your website? What content do you currently have? Your blogger will help you determine the best way to proceed with your content to improve it and will get a better idea of just how much time you’ll need each week or month. Answer questions in a timely manner. Two weeks tells a blogger that you’re really not that interested. You may be busy, but so is your blogger. You both need to respect each other’s time. Replying within 48 hours is often a good sign. Which one of the three do you want? The majority of people will say the first one. Sure, you want to keep your project within your budget, but you need to consider the quality and timeframe of the work. If you want a project done tomorrow, you’re going to have to pay a lot extra to see that done. The blogger will likely already have numerous projects to complete and will need to put others’ off for you. They need compensating for that change to their diary. If you want cheap content, the quality or the time has to be sacrificed. You likely won’t want either of them. So if you want cheaper content, you’ll need to look at working with the blogger to reduce the amount that you get. Don’t be afraid to ask bloggers to adapt proposals to fit your budget. Never get angry if they can’t. Cost is about quality, abilities, and experience. If you genuinely can’t afford the blogger, be polite in declining. But I’d encourage you to be open in the future if you need to upgrade your blog content. When hiring a blogger, emailing only goes so far. Many people find it easier to chat on the phone or through Skype. Facebook messenger calling is also an option. Make a date for both of you to stick to for a quick call. You only need 15-20 minutes. Both of you can have a list of questions and you’ll get a better idea as to whether you’re the right fit for each other. Many bloggers offer free discovery calls for this reason. There is no obligation to book the blogger after this. Likewise, there is no obligation from the blogger to take up your project. The whole point is to learn more, get to know each other better, and see if you’re the right fit. If you’re still not sure, you can always ask a blogger to create content specifically for you. This has to be paid! You cannot expect a freelancer to provide free content for you in the hope of a job in the future. Bloggers have samples to avoid this very need. The paid sample will need to be as close to the blogger’s usual one-off price as possible. Some bloggers may offer a slight discount, but don’t expect to pay $5 and get the world. Honor and respect their time to create this quality piece of content. Most bloggers will also expect the costs to be paid upfront, too. There’s no obligation to hire the blogger for the full project after this. If you’re not happy with the content then you can move onto the next blogger. Just make sure the sample is paid for. All bloggers should have a contract for you to sign. This will detail the costs for the project, any terms and conditions in the working relationship, and the conditions of payments. Make sure you read through the contract in full. If you want to negotiate, this is the time to do it. Be reasonable with your negotiations, but also be aware that the blogger doesn’t have to budget. 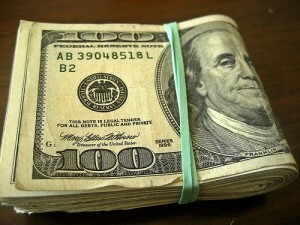 Many bloggers will ask for 50% of the first month costs upfront. While you may not be used to paying for services upfront, this isn’t an unreasonable request. It starts the trust between you and the blogger. Likewise, there will be payment dates to stick to and terms for when ending the relationship. If you want to change things, make suggests and find something you can both agree on. Once you have agreed, get the contract signed and sent back to the blogger right away. 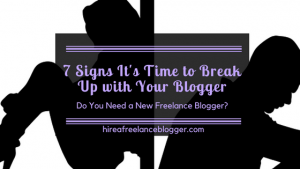 Your blogger isn’t going to start on a project before you sign that contract! Don’t just jump straight into hiring a blogger. You need to know more about the individual and the experience they have in your niche. Ask your friends for recommendations or any family connections and you will instantly narrow down your list. Looking to hire a blogger? Get in touch for your FREE discovery call today. How Much Do Freelance Bloggers Charge?